You may prefer reading the text on the back cover in plain text. To do so, skip down to the text version of the book's back cover. 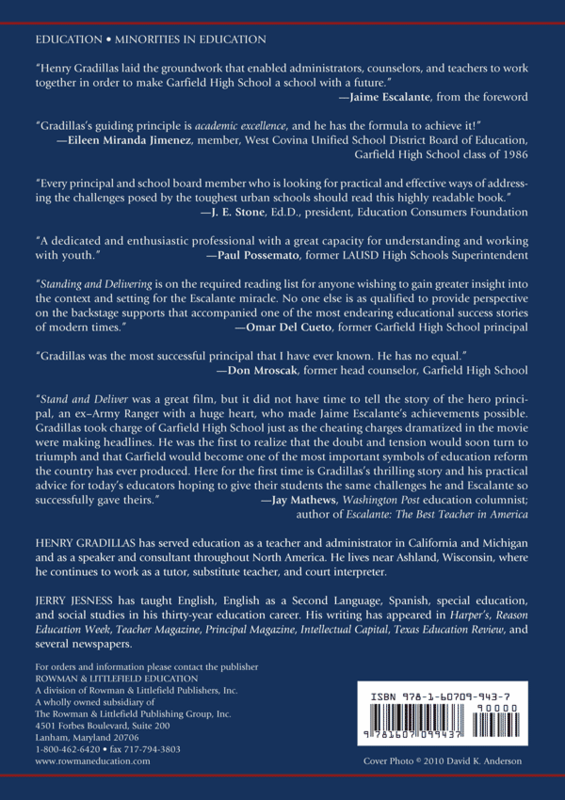 HENRY GRADILLAS has served education as a teacher and administrator in California and Michigan and as a speaker and consultant throughout North America. He lives near Ashland, Wisconsin, where he continues to work as a tutor, substitute teacher, and court interpreter. JERRY JESNESS has taught English, English as a Second Language, Spanish, special education, and social studies in his thirty-year education career. His writing has appeared in Harper’s, Reason Education Week, Teacher Magazine, Principal Magazine, Intellectual Capital, Texas Education Review, and several newspapers.